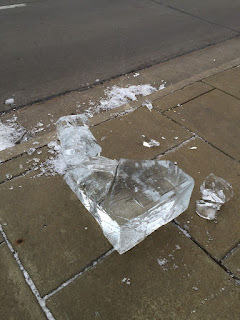 JT IRREGULARS: "Ice sculptures vandalized"
"RACINE — Several ice sculptures made in Saturday's Break the Ice event have been vandalized over night. "Divino Gelato Cafe, 245 Main St., sponsored an ice sculpture that appeared to be tipped over. "Racine Police Department say they have not gotten any calls about any of the ice sculptures being vandalized. "The Journal Times will update this story as it gets more information." Did the animals escape from the zoo?